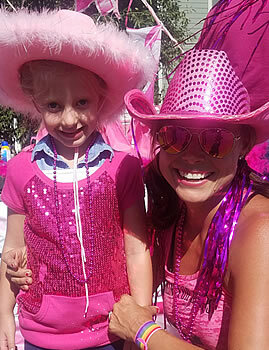 Big names, big hats and big donations were all a part of this year’s Tough Enough to Wear Pink Singer-Songwriter Concert and Live Auction Tuesday at The Lodge at Mountaineer Square in Mt. Crested Butte. 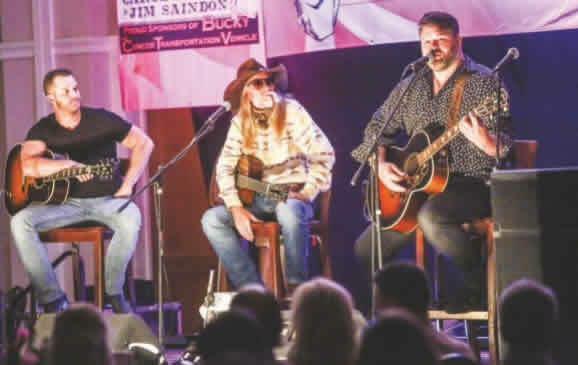 Two stars in country music — Easton Corbin and James Otto — joined Nashville’s singer-songwriter Dean Dillon on stage for a night of music and fun. During the event, Meagen Fraker (pictured top left, with TETWP director Heidi Sherratt Bogart) was presented with a belt buckle honoring her as a breast cancer survivor. Totals are still being tallied, but it’s estimated the event raised $340,000.